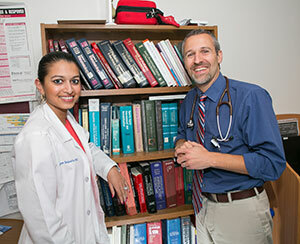 The Belanger School of Nursing prepares men and women for licensure as a Registered Professional Nurse. The program is registered by the New York State Education Department jointly with Schenectady County Community College. This hospital-based school awards an Associate in Science degree in Nursing conferred by the Ellis Medicine Board of Trustees. The curriculum, prior to fall 2018 consists of 42 credits in nursing and 30 college credits spanning four semesters and one summer session. A 64 credit curriculum has begun in fall 2018, it is designed to be completed in four semesters. 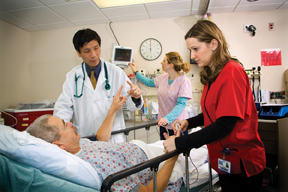 The primary focus of instruction is the care of the hospitalized patient with emphasis on clinical practice. 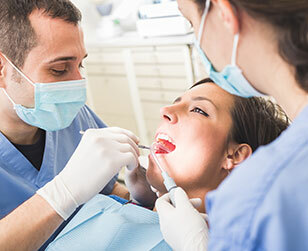 The Belanger School of Nursing has articulation agreements with S.U.N.Y., Polytechnic Institute at Utica/Rome, Siena College, The Sage Colleges, Chamberlain College, Empire State College, Excelsior College, Maria College, Walden University, SUNY Delhi and Grand Canyon University. Following graduation from the School of Nursing, a bachelor's degree in nursing may be obtained after two years of full time study. Many graduates of the School of Nursing choose to begin their nursing careers at Ellis Medicine. 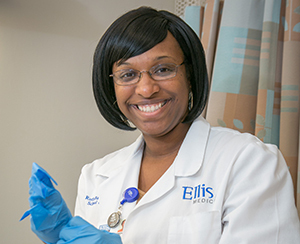 All departments that employ registered nurses welcome new graduates of Ellis Medicine's own nursing school. Application Completion Deadline January 15, 2020. Application and all required components (see Application Completion Checklist) must be received no later than 4:00 PM on this date. Applications not completed by this date will not be reviewed for Fall 2020 enrollment. Call 518.831.8810 for more information. All students applying to the Belanger School of Nursing are required to take the Kaplan Admission Test. The Belanger School of Nursing is revitalizing its Alumni Association and wants former students to get involved! If you would like to join the development process, contact Carolyn Lansing at 518.243.1582. Information Programs include a small group presentation by an Admissions representative followed by a campus tour. Programs are the first Thursday of each month, from 4:00-5:00pm at the School. Please call 518.831.8810 to make a reservation.